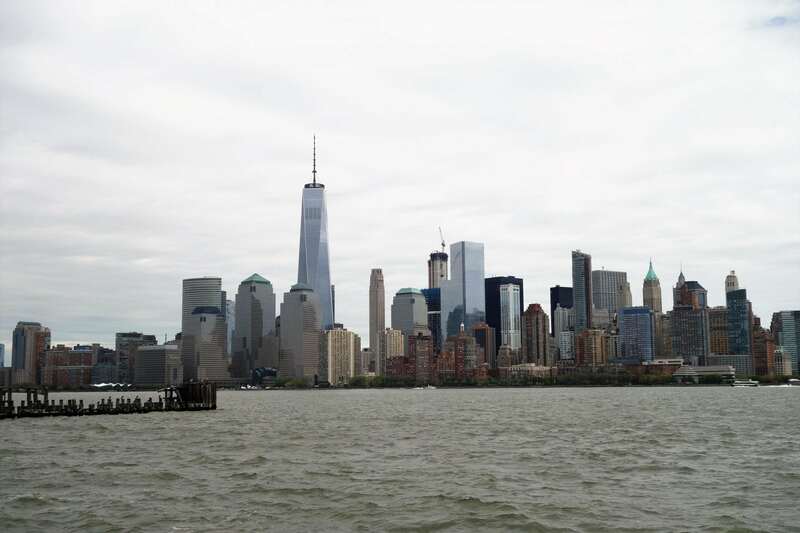 There are plenty of things to do and see if you are sailing from the New York Metro area on a cruise. 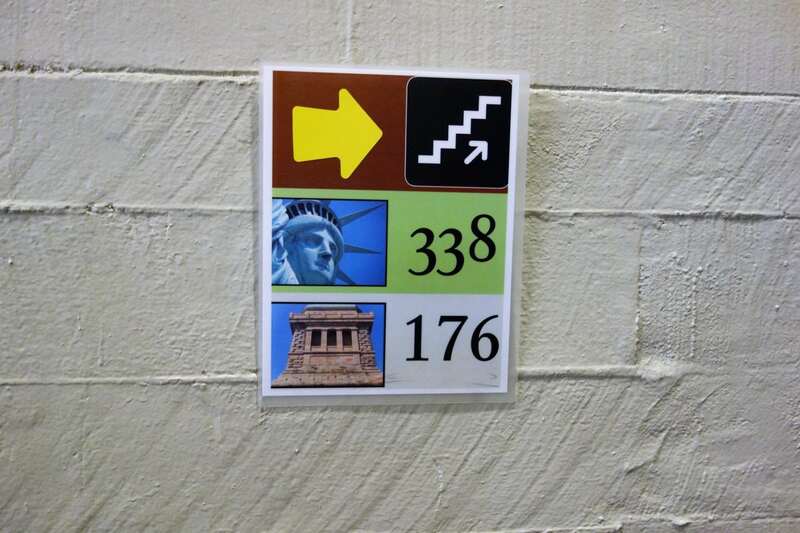 Prior to our recent Bermuda Cruise on Anthem of the Seas, the Princess and I ventured off to explore two of the area’s most iconic attractions- the Statue of Liberty and Ellis Island. Even though we were staying in New Jersey, we were able to access these attractions without having to venture into NYC. 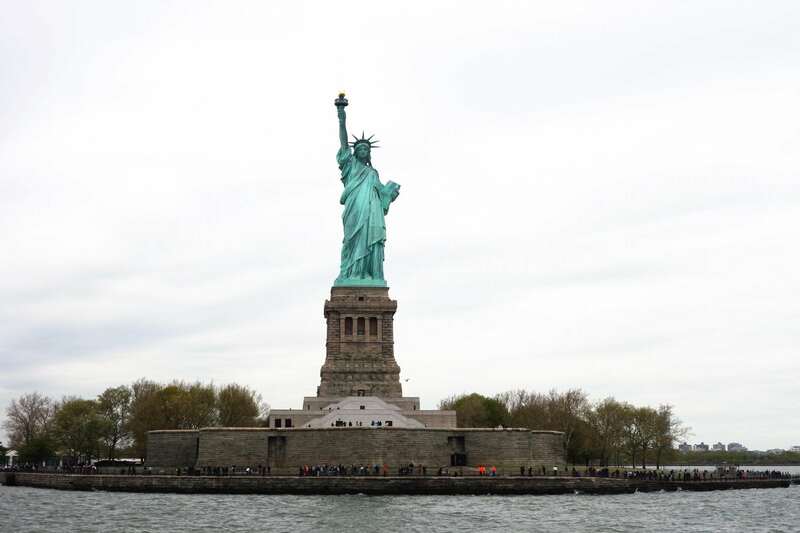 Statue Cruises offers convenient departure points at both Battery Park in New York and Liberty State Park in New Jersey. This excursion, located minutes from our hotel in Jersey City, offered an entire afternoon of history and selfies. We highly recommend you add this historic experience to your vacation either before or after your next cruise from this area. 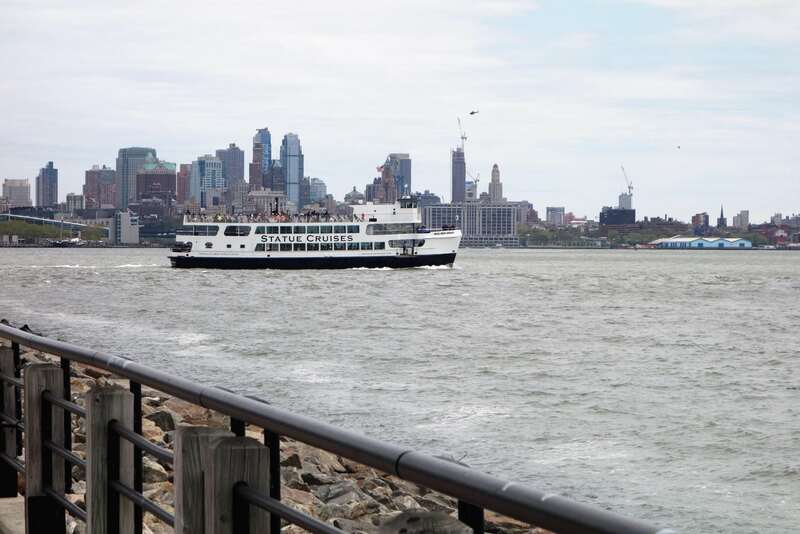 One of the departure points for the Statue Cruises ferry is Liberty State Park in Jersey City, New Jersey. This park is located about 30 minutes from the Cape Liberty Cruise Port. 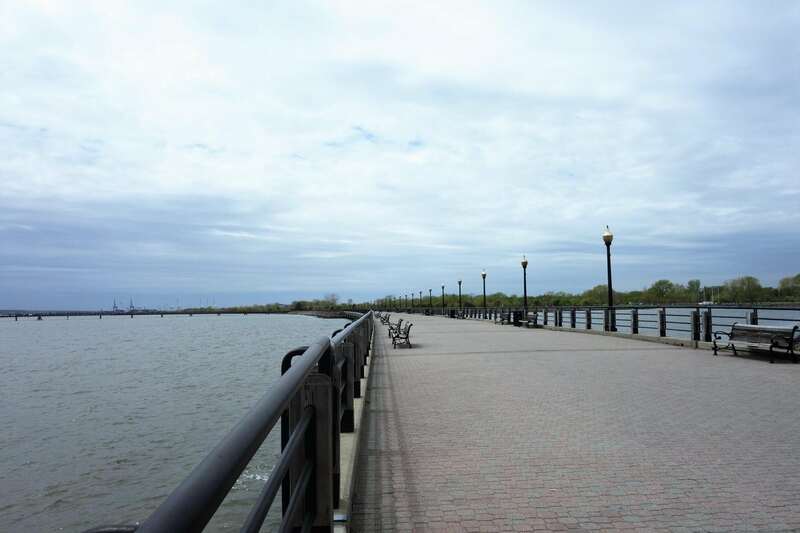 If you arrive early, budget some time to walk along the water and grab pictures of the historic Central Railroad of New Jersey, a hub of transportation and commerce from the early 20th century. Unfortunately, the terminal is still closed from damage done during Hurricane Sandy. Great skyline pictures of New York are also possible from the park. There is also the “Empty Sky” 9/11 memorial, along with other trails and outdoor areas that you and the family could spend hours enjoying. Unfortunately, given our time of arrival and the chilly weather, we did not venture around the park or snag too many pictures. If you plan on taking this tour pre-cruise or post cruise, you should make reservations in advance, especially during the summer months. Tickets are limited, and you can not purchase tickets to go inside the Statue of Liberty once on site. If you want to walk all the way up to the crown, you will need to reserve that at least 3-6 months in advance. We were not able to get crown access as we purchased our tickets 6 weeks prior to our trip. We were able to get tickets to walk up to the pedestal of the Statue of Liberty, but the only time slot available that made sense for us was 1pm. 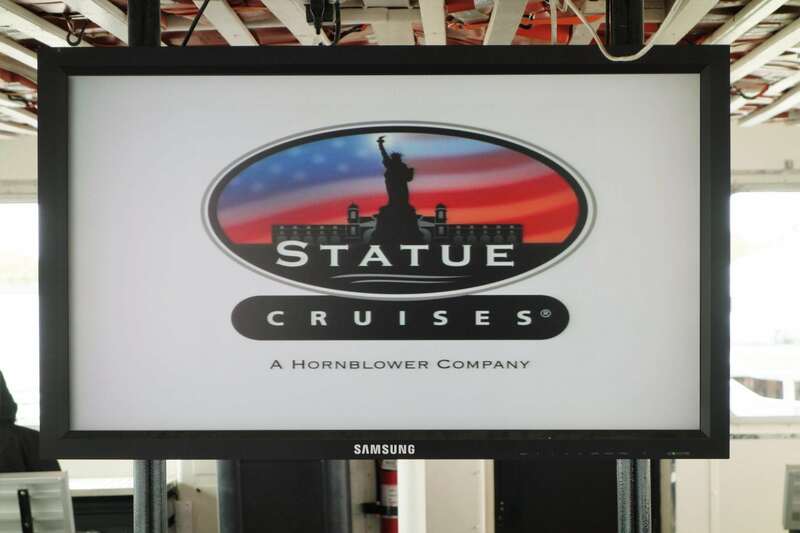 If you book ahead of time, tickets are sold on the hour from 8am to 3pm for the Statue Cruises. The price for Pedestal tickets is $18 an adult and for Crown tickets is $21 an adult. 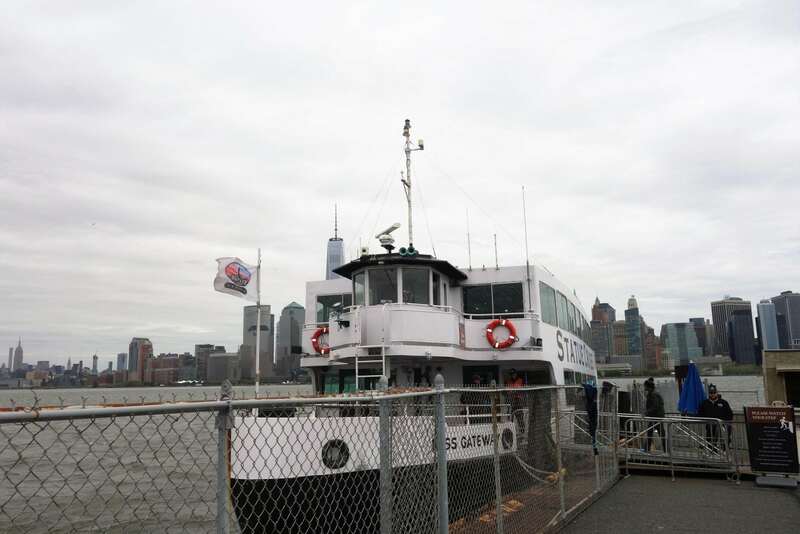 Both tickets include trips back and forth on the ferry, as well as access to Ellis Island and the audio tour of both sites. However, once you exit the ferry at either Liberty State Park in NJ or Battery Park in NY, you can not return to the sites. Given that we were driving into the area for our pre-cruise day, our plan was to check into our hotel, the Westin Jersey City, then head over to Liberty State Park. With unanticipated traffic, we were already running late so decided to drive straight to the park. Parking is available for $7 and was plentiful, but this might be related to the time of year we were visiting (end of April). It is recommended that you arrive 30 minutes before your scheduled departure time to allow for security and boarding of the ferry. There is “airport style” security; you will have to go through metal detectors, and all bags will be screened. Given the time of year, we were able to zip right through security, but we assume the lines would be much longer during peak times. Quickly through security, we waited outside in line for about 10 minutes until the next ferry arrived. Now, we started our journey back in time. During the ferry ride, onscreen videos give you an overview of the attractions. 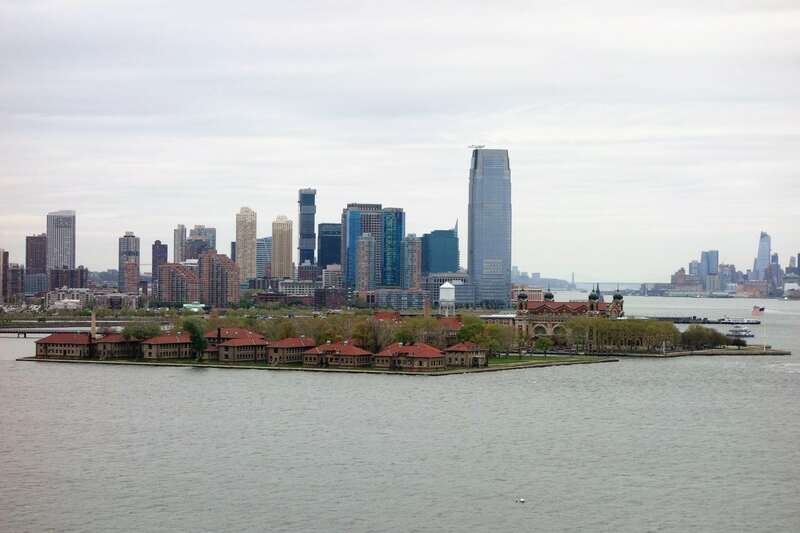 Leaving from New Jersey, the first stop is Ellis Island followed by Liberty Island (home of the Statue of Liberty). Not sure how long it would take, we prioritized the Statue of Liberty. The ferries run every 20 minutes, and during peak hours, loading can take a while as large ques form. Pulling into Liberty Island, we of course ran to the starboard side of the ship to get some pictures of the one and only Lady Liberty. Once docked, we grabbed the audio tour device and embarked on our journey of independence. We did not realize how many people just walked around the grounds as they did not have tickets to go inside to the statue. We started from the beginning and followed the audio tour for a few minutes, but just ended up abandoning it for the most part. We decided to do our walk-up to the pedestal first and then continue our own self-guided walk around the rest of the island afterwards. Providing our tickets at the entrance, we had to go through another round of security to enter the base. 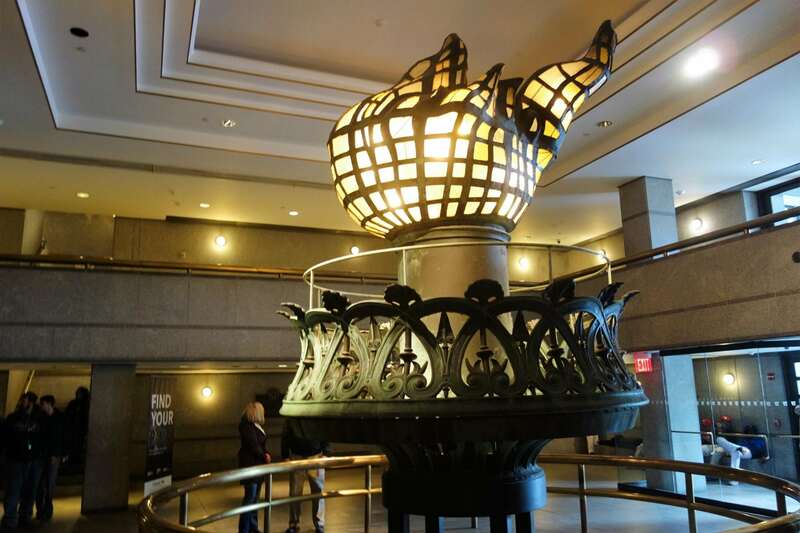 Upon entrance, there is a replica of the famous torch in the lobby and signs pointing you to the top. More recently, elevators have been installed up to the pedestal but not all the way up to the crown. 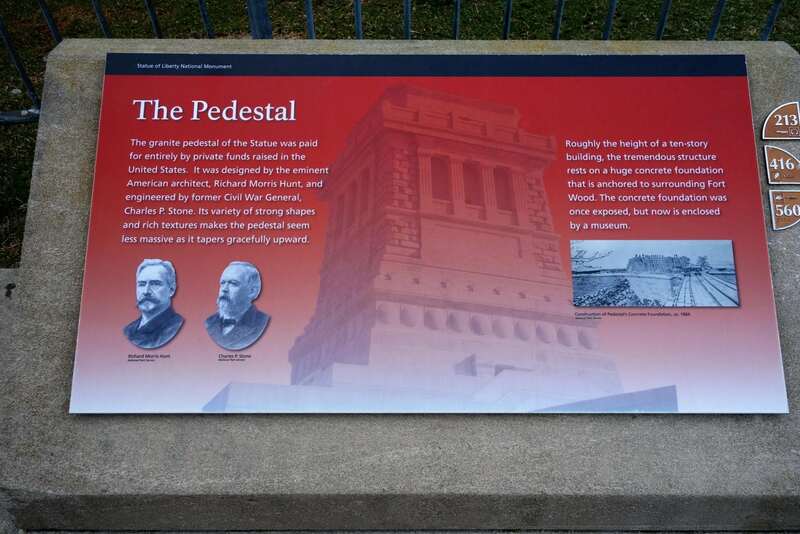 Who needs the elevator when you can walk the 176 steps up to the pedestal. While she struggled to do so, the Princess finally made it to the top! We were able to get some great views of the surrounding area and tried to get a few selfies with the Statue which proved too difficult from this vantage point. Expecting a bit more, we spent maybe 10 minutes outside until we agreed to head back down and see the rest of the island. It didn’t help that it was quite windy and cold. Back down on solid ground, we walked around the front of the Statue taking a few pictures of the surrounding area, as well as the informative signs and displays for about 30 minutes. You could spend hours here if you read everything in detail and listen to the accompanying audio tours. But, given the weather and time constraint, we headed back toward the ferry landing to do our mandatory tour of the gift shop prior to hopping the ferry over to Ellis Island. There are two different shops offering typical souvenirs and a cafe serving prototypical fast food. This area was quite busy, so we can only imagine what it’s like during the busy season. We were able to catch a ferry to Ellis Island around 3:20pm, spending about 90 minutes on Liberty Island. 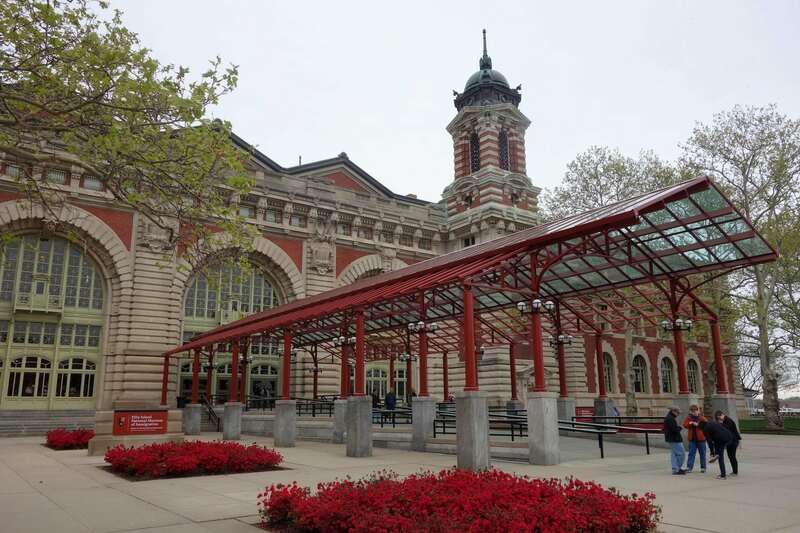 Arriving at Ellis Island, we had about an hour to spend before the museum closed. I could have spent more time here as the museum was so fascinating. Your ticket includes entrance to the Immigration Museum and a 45 minute audio tour. The Museum is in the Main Building of the old complex, with medical units, housing, and other facilities across the way. This part of the island is currently off limits. Leave it to the Princess to think that it would make for an amazing haunted Halloween attraction in the fall. You enter the museum in what is known as the Baggage Room, for obvious reasons. 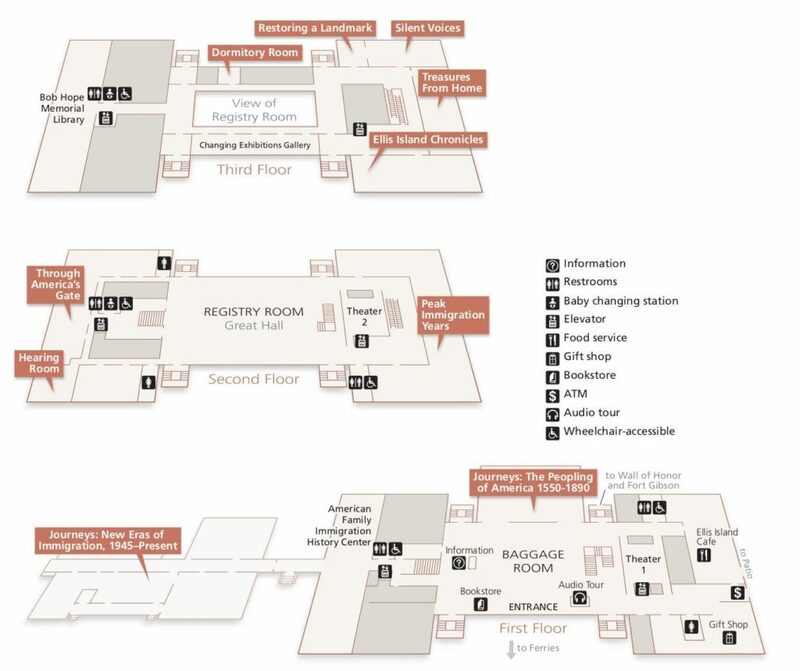 We headed to the audio tour booth for our device and map (see below). Given our limited time to explore, I asked where we should go. The employee recommended the Great Hall, on the second floor, so we followed the crowd up the stairs into this central area. This was the central processing area where immigrants would come to be examined and either gain entry into the United States or be sent back home. 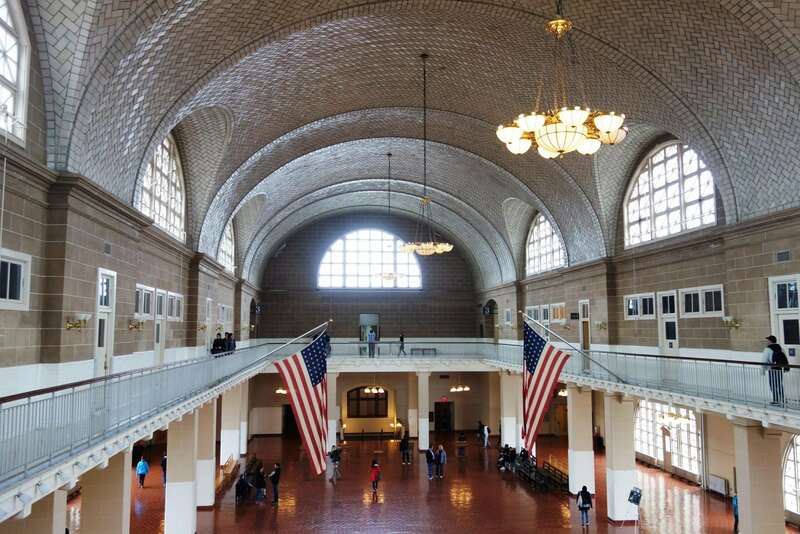 It is a very humbling experience to stare at the Great Hall and imagine what it must have been like for those willing to risk everything to immigrate here, and this is only the beginning of the adventure. 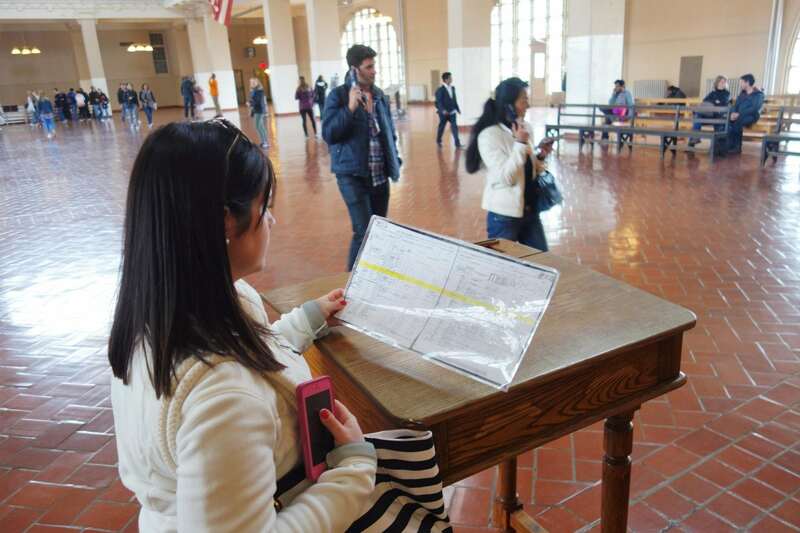 If you walk through the Great Hall, you can explore Through America’s Gate, a series explaining each step in the journey from coming to Ellis Island, to processing, intelligence testing, doctor examinations, dining, mental testing, and hopefully getting into New York as an immigrant. The museum is very well done with artful storytelling and relics that truly transport you to the time period. On the other side of the second floor is the Peak Immigration Years exhibit. This area details the life and experiences of the early 20th century and the wave of immigration that occurred during those years. 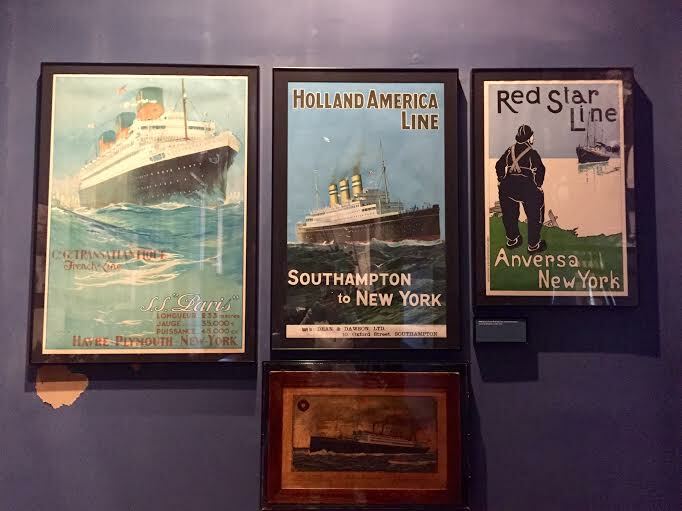 For cruisers, this exhibit offers a glimpse into the ships that transported passengers, with a few familiar names like Holland America Line. It is really something to imagine- thousands of people crammed on these ships for weeks at a time to come to America. And there wasn’t even a buffet or a swimming pool! 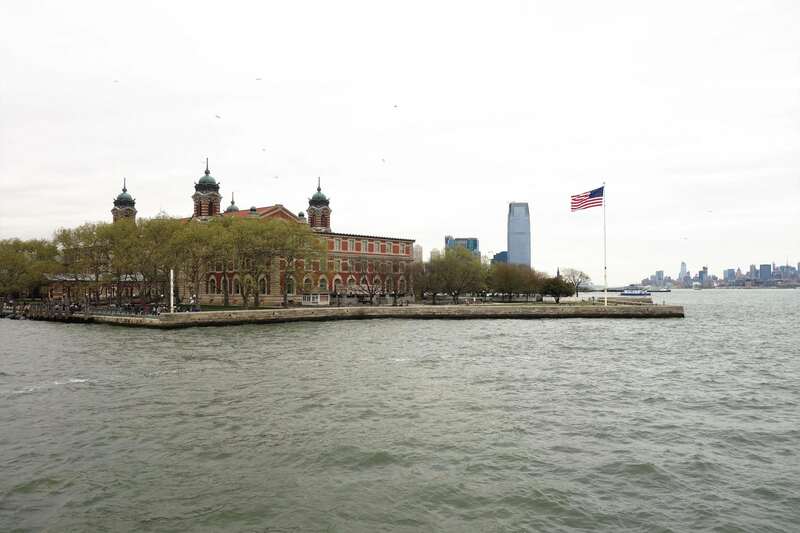 Admittedly, we did not get to see everything in our hour visit to Ellis Island. The first and third floors also contain additional exhibits that you could easily spend hours viewing. 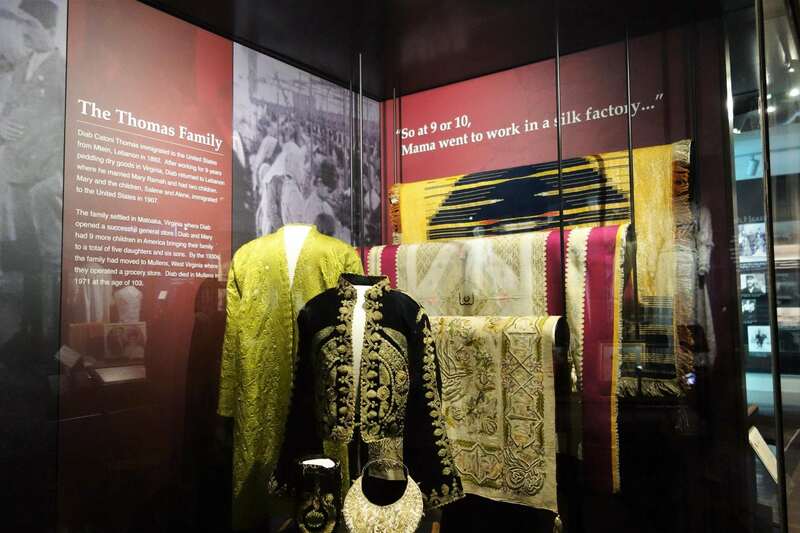 We did make it to the third floor to see the Treasures from Home exhibit, a collection of garments donated by families of immigrants from all over the world. There are also a few smaller exhibits, including the Ellis Island Chronicles, which use models to demonstrate how the island has been transformed over time. With time running out, we were not able to really tour any of the exhibits on the first floor, including the new exhibit, Peopling of America, or watch any of the short films played in the theaters. Closing out the museum, we caught the last ferry at 5:15pm for the short jaunt back to Liberty State Park. 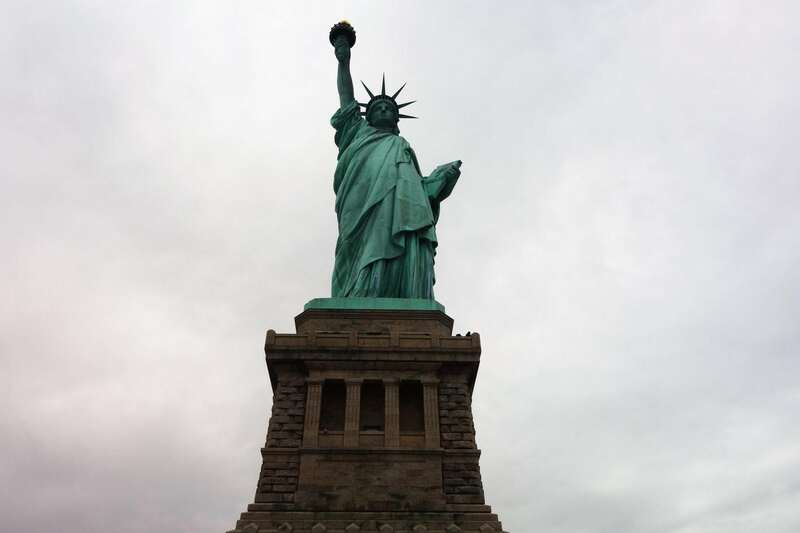 While a bit rushed, a tour of these landmarks with Statue Cruises was certainly one of the highlights of our trip. If you are into history and want to explore all that these great sites have to offer, then we suggest taking a morning ferry to allow for a full day of sightseeing. 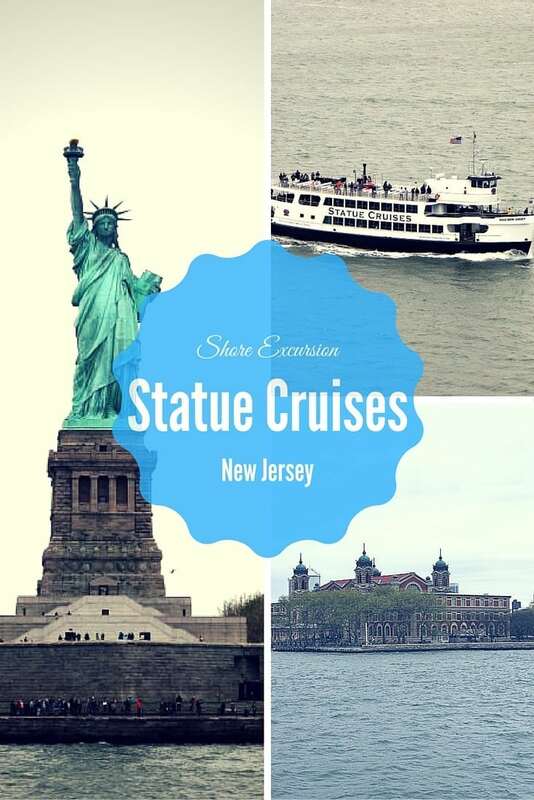 Have you taken a Statue Cruises tour from New Jersey? 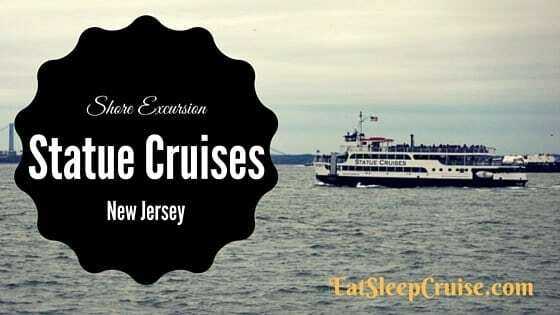 What do you like to do before or after a cruise in the Cape Liberty, NJ area? Drop us an anchor below to tell us how you like to spend your pre-cruise or post cruise day.